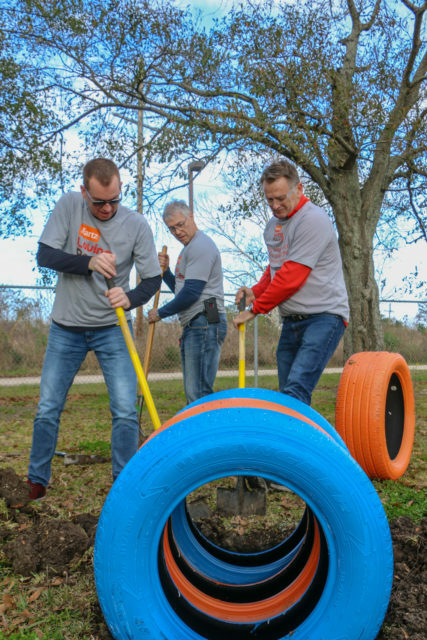 New Orleans Shelter Gets a Huge Rebuild In Just One Day! “Rescue Rebuild headed to New Orleans, Louisiana where the weather was in our favor. 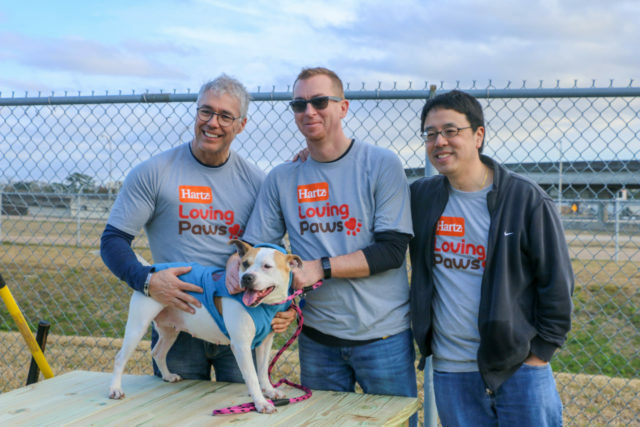 The team spent the week preparing for our Hartz volunteers to join us for an afternoon packed with projects at the Jefferson Parish Eastbank Animal Shelter. Our 50 volunteers walked off the bus ready to work! 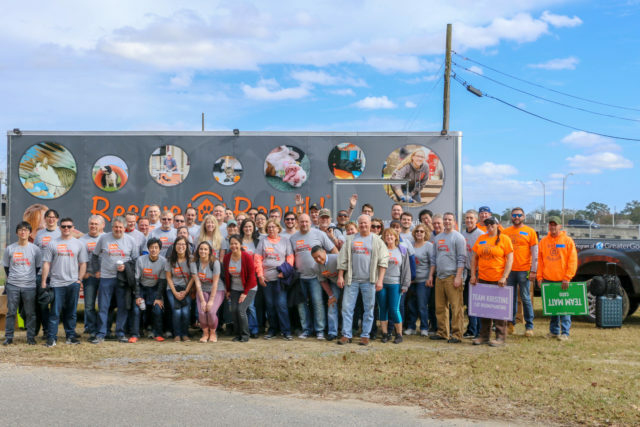 The Rescue Rebuild team loves to work with other people who are as passionate about animals as we are. It takes a special group of people who choose to take time out of their busy lives to make a positive difference in the lives of these shelter animals. “Our list of projects was long one! Many of the projects were outside, and luckily enough, the sun was shining. 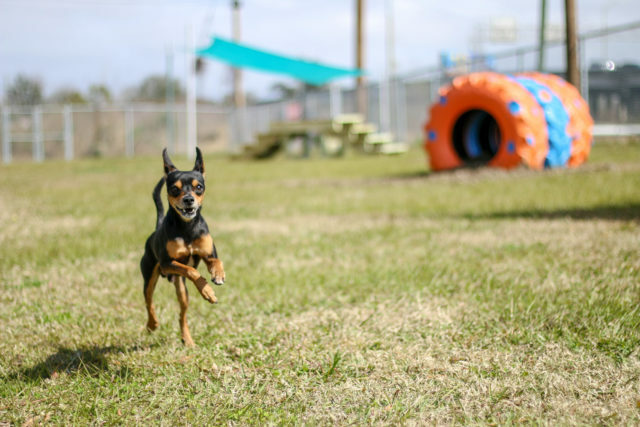 Jefferson Parish Eastbank Animal Shelter had an existing chain-link dog play yard, but it was large enough to split into two play yards. Splitting it into two gives the staff yet another outdoor space to get a dog into and out of its kennel. 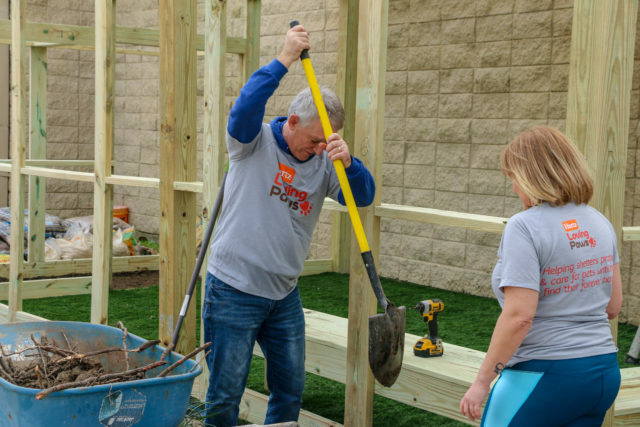 “Volunteers constructed tons of enrichment for the pups while romping around outside. Benches were built for the staff who are supervising, or for the dogs to sit on too! Agility steps to go up and down on were added. So were tire tunnels to run through. And last but not least, sun sails to find some shade out of the sun. “It is not fair for only the dogs to be able to go outside…so, of course, the cats get to too! The team constructed a brand new outdoor catio for the kitties to breathe that fresh air, stalk birds, and bask in the sunshine. With the green turf to roll on and wooden trees with leaf shelves to perch on…the cats are basically free in the wild…just much safer! “Now for the indoor projects. Lots of painting. Painting takes patience and talent. It is incredible what a fresh coat of paint can do and how much of a difference certain colors can make. The current animal intake room was painted a bright red. Choosing the right color scheme can provide a more calming environment for pets and people alike. “Organic colors and hues found in nature make an animal feel safe and comforted. With this room being the intake room, this is the first spot they place an animal. Knowing that the animal is most likely quite confused and frightened, harsh, bright, primary colors should definitely be avoided. Volunteers repainted this room a pastel blue, hopefully bringing peace and comfort. We also painted the cat room next door this same blue. 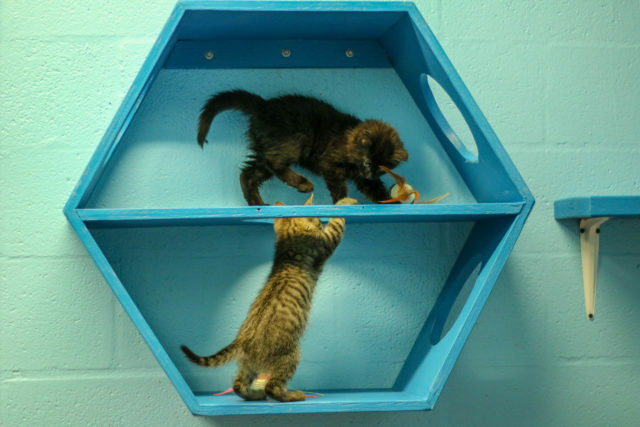 At the entrance of the cat room, we built a double containment so there are no escaping cats when staff, volunteers, or potential adopters are going in. The team also added fun new cubbies to climb up and into as well as shelves all up along the walls, some high enough for the more timid cats to be able to hide up top and feel safe. To finish off the cat room, we gave the kitties some cat scratchers and toys to have has new enrichment. “Next, toward the dog kennels we went. 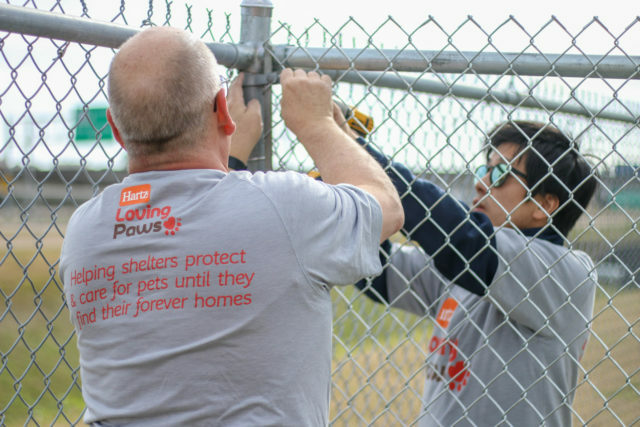 Volunteers were able to help replace about 30 dog kennel doors that desperately needed rewiring. With this shelter being quite old, many of the kennel doors had been worn down by all the dogs living in them over the years. The team walked through and picked out the worst of the worst. We took the doors off, dissembled them outside, replaced them with brand new chain-link, and then put them back up in the kennel. Rescue Rebuild is making shelter life better for pets waiting for their families to find them! When you shop from the Rescue Rebuild collection in the iHeartDogs store, you’re helping fund projects like this one! 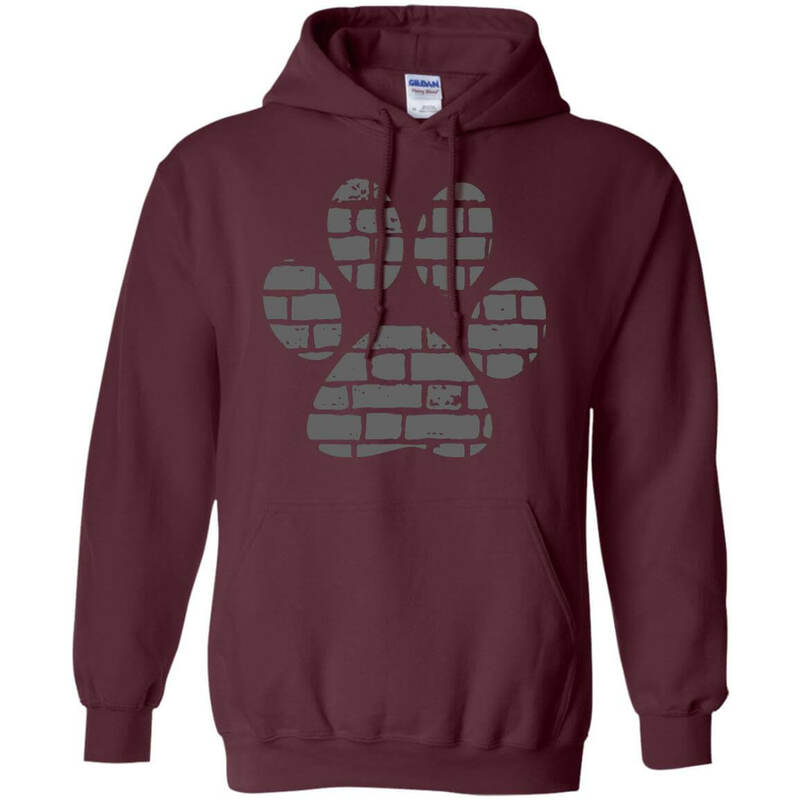 Rescue Rebuild Brick Paw Pullover Hoodie, 20% of Proceeds Are Donated To Help Rebuild an Animal Shelter!